The open air, diurnal rhythms of sunrise and sunset, our need for sunlight, the swells of the open sea. Humanity’s attachment to the vast spaces of the outdoors is matched by our equal and opposite fascination with burrowing and the exploration of spaces deep in the earth – cradle and resting place, an inward-looking that mirrors our world. 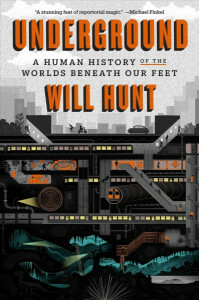 Urban adventurer Will Hunt’s new book Underground: A Human History of the Worlds Beneath our Feet is a sociological spelunk into the psychology of caves, tunnels both man-made and artificial, and discovery and abandonment. In the Black Hills of South Dakota, George Hearst’s Homestake Mine, an inactive gold mine, now acts as a laboratory for the study of life in the deep earth. 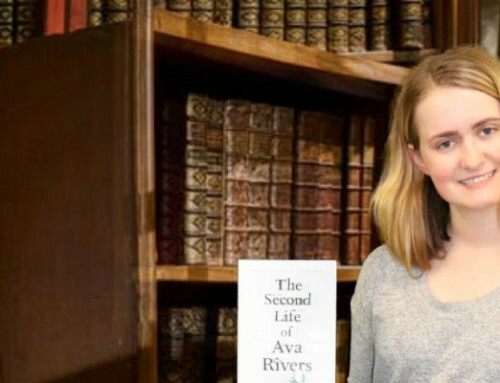 An entire chapter is devoted to the traversal of the extensive sewer system of Paris, in which a wary eye is kept on the waterline in some of the partially-flooded depths adjacent to the Seine. Read about the world’s “cults of lostness” in this great book – put a hold on it today!